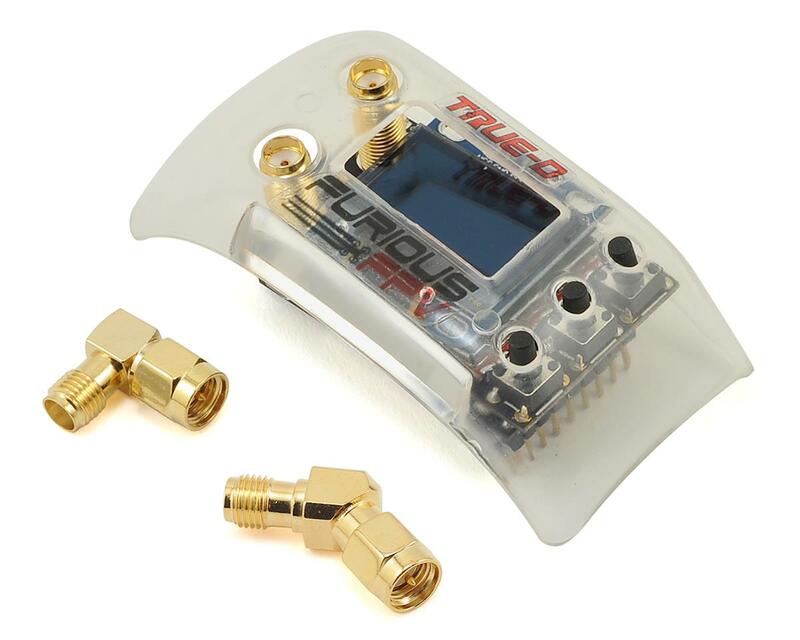 The Furious FPV True-D V3 5.8Ghz Diversity Video Receiver Module is an evolution of the original True-D receiver system. The True-D V3 features refined ergonomics and improved functionality, which will offer unrivaled performance on your next FPV flight session. Furious FPV has now added a multi button menu access system instead of the single button and scroll wheel type device. The multiple buttons allow for ease of access for menu navigation, and allow the firmware of the receiver to integrate seamlessly with the FatShark buttons. Unlike average diversity systems that simply alternate channels at predetermined points, the Furious True Diversity system actively searches for the greatest level of signal strength - choosing the highest strength output for maximum video clarity. The V3 True-D system offers improved resolution RSSI, and additionally has a refined antenna switching algorithim. This equates into the highest level of video clarity, allowing this active search system to always find the very best signal strength available. Utilizing smooth switch video capability, the True-D Diversity system alternates between the most optimum signal strength in instantaneous fashion, providing the ultimate in video clarity when it's needed the most. This diversity technology provides ultra clean video with increased overall range, providing a cutting edge advantage with maximum levels of FPV clarity. With a total of (40) available channels, the True-D is flexible, offering Manual Channel Setup, Auto Search Mode and Working Channel Mode. These different selections provide the end user with total control, allowing you to select what works the very best when it comes to your FPV systems. With the use of an easy to adjust toggle, you can rapidly locate every function the True-D offers, providing instant levels of setup and adjustment with a simple push of the finger. Bought it, and it is AMAZING. the range is extremely good, the interface is great, and I would recommend this to anyone. Love it much better the the v1! The buttons are nice just installed version 3.2 firmware. Best bang for the buck! !